Friday night's awards dinner saw Ayr RFC say farewell to three individuals who have made significant contributions on and off the pitch from fifty years to ten years to one year. 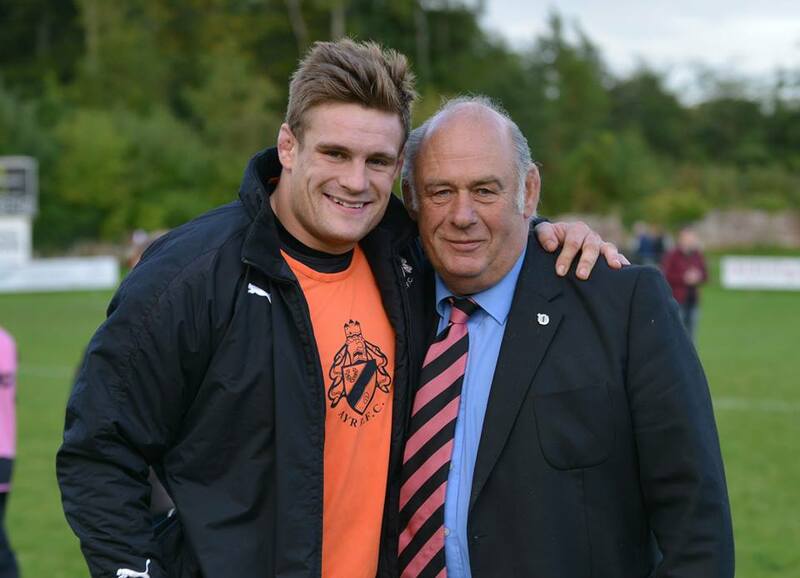 Director of rugby Jock Craig, who couldn't attend the dinner, is stepping down from the role after many years of supporting and encouraging the players and coaches. He has been with the club for fifty years, several of those spent on the field as a prop where he commanded the fear and respect of anyone he came up against. Off the field, Jock has been instrumental in the club's success and we thank him sincerely for his terrific service. Also unable to be present at Ayr Racecourse was Javan Sebastian, who was named young player of the year. Javan has returned home to Wales to await the birth of his first child after impressing in his season with Ayr, and last week was presented with a signed shirt by head coach Calum Forrester before he left. Hours before the dinner, Javan was named the April player of the month, with the highest-ever number of votes in the online poll. We wish Javan and his family all the best for the future and hope to see him at Millbrae again soon. 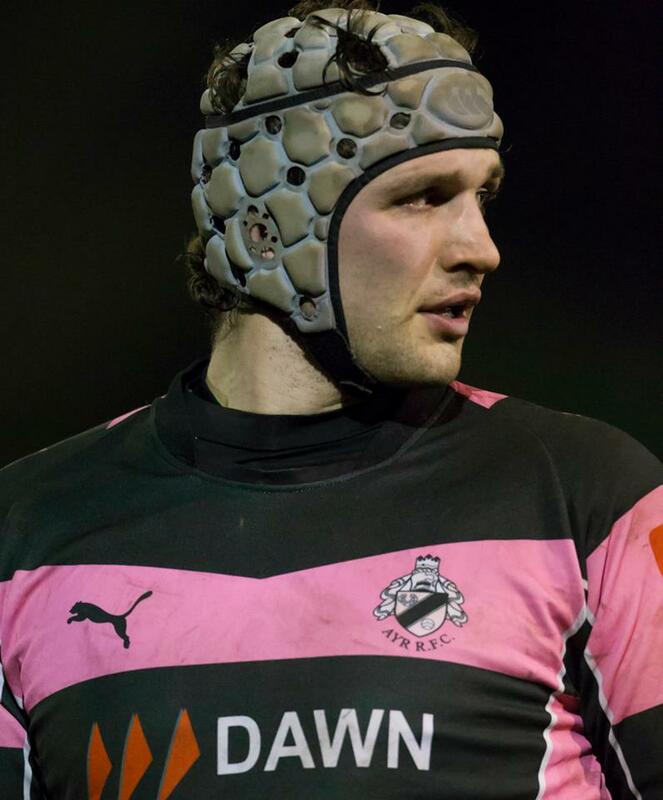 After nearly 200 appearances in the pink and black shirt and a medals collection to rival Sir Chris Hoy, Andrew Dunlop has hung up his boots. 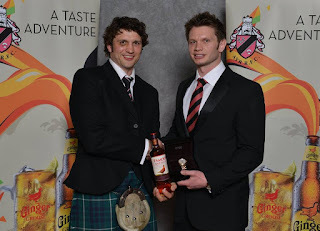 A multiple Scottish Cup winner and league winner, as well as representing the Scotland Club XV and captaining the Co-Optimists, Dunny was as busy off the pitch as on it, organising social events at Millbrae and liaising with club sponsors. At the awards dinner, he was presented with a Logan Jewellers watch, engraved on the reverse with 'Thanks for all the cards', a reference to his ability to get on the wrong side of the referee. He was always on the right side of the fans though and after almost ten years at Ayr RFC, he will be greatly missed when he moves back to Biggar to run the family farm. 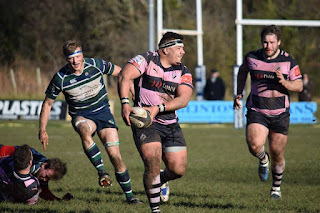 We also said farewell and good luck to Robbie Fergusson, who has signed a fully professional contract with London Scottish after spending several months on loan to the English Championship club and becoming a vital part of their starting XV. A former Ayr Rugby Academy and Ayr Ladies coach, Robbie was at Ayr Racecourse to present awards to the women's section. 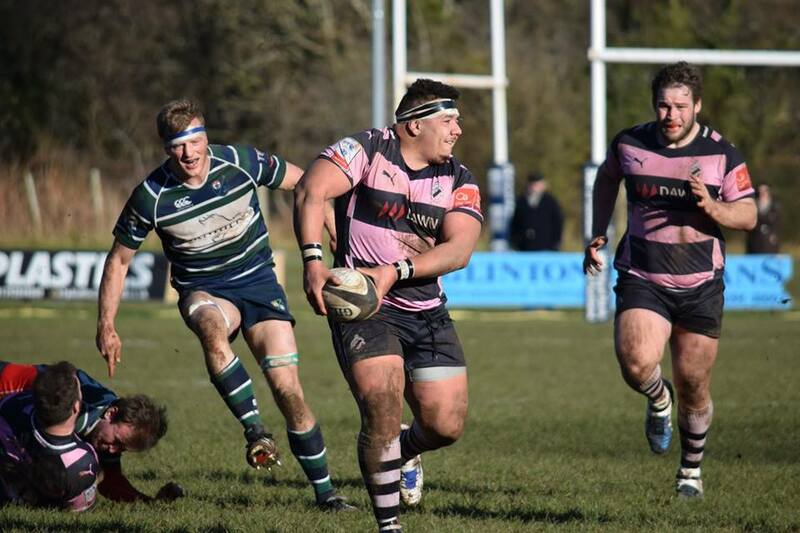 Everyone at Millbrae sends their thanks to Jock, Javan, Robbie and Andrew for their dedication to Ayr RFC and we look forward to welcoming them back soon.